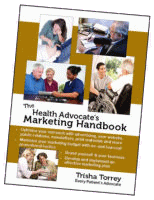 Home > advocacy business, advocate marketing tools, decision making, patient advocacy, patient advocates and navigators	> When Is Potential Competition the Best Thing That Ever Happened to Your Business? I and all the other members of Advoconnect are paying you an annual membership fee to not only be listed in your directory but to promote us. This new company that you are now in partnership with is just that…a NEW company with NO experience, NO clients and NO track record. 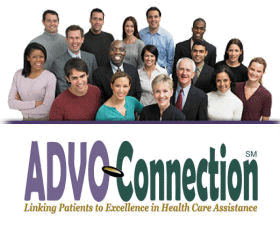 You state on the Advoconnect website home page: Or, perhaps you’ve already decided to become a patient advocate or navigator, but you don’t yet have the track record to be listed on the AdvoConnection Patient Advocate Directory website. So why are you promoting them on Advoconnect? They do not yet meet your criteria for membership and I would appreciate if you would please focus on promoting Livingwell Care Navigation and your other paying members. Continuing to promote them on Advoconnect provides them with unwarranted exposure because of your business partnership and that would be a conflict of interest. I wish you and your partners the best in your new business venture but your new startup is nothing more than interesting to watch. Not a threat and not of benefit to me or the other Care Navigation and Patient Advocacy businesses. Hi Barbara – good question and I’m glad you raised it. There are several important points to make in response. 2. The section you quote from the AdvoConnection website refers to PACE members (Patient Advocate Career Exploration). We have hundreds of PACE members who take advantage of many of the benefits of membership, learning to start and build their private advocacy businesses. But not one of them is listed in the directory. They cannot be listed in the directory until they have built that track record. 3. You are absolutely right that anyone found in the AdvoConnection directory must be experienced. That will never change, not for any reason. I hope that clarifies for you. I understand how frustration can arise from misinformation, so I apologize if I wasn’t clearer on these points. As far as promoting YOUR business – as you may know, we are launching Private Professional Patient Advocates Week (and yes, I know you have applied.) This will be a huge promotion for AdvoConnection’s Premium members. None of them are involved with CarePlanners. Thanks for the response Trisha. 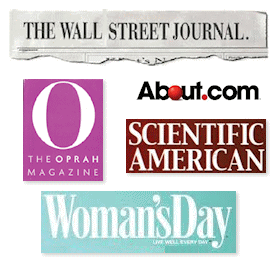 As you know, every positive mention anywhere on the web is of benefit and a promotion. Your posts are also tweeted. Was asking for you to please be mindful of not promoting your new startup in this space. In response to your request for input re the benefit of your new startup to all the other care navigators, I have been involved in many business start-ups as both a founder and as a business consultant, coaching new entrepreneurs through their start-ups. Having previous start-up experience and funding certainly is a great advantage but there is no guarantee of success. What you have is the intention to become a national or international entity that will deliver care navigation services and be successful both financially and otherwise. There is a tremendous need for the types of services we all offer and over 70 million boomers with both chronic disorders and elderly parents. More than enough business for everyone. May you and your partners be successful in your new endeavor. And may every client you touch, benefit from the support you provide. As someone who has been involved in the healthcare industry as a patient, an employee and a healthcare advocate for a lengthy period of time I am appreciative of any help that I can get in promoting (MediHelpz). From what I have read so far about Care Planners I can see how it has the potential of being a great assistance for the the African American community that I service. I look forward to hearing more about Care Planners and how Medihelpz can become a part of the Care Planners/AdvoConnection business venture. I also welcome any assistance that I can get from LivingWell. The way I see it strength comes in numbers. Banding together has a strong potential of providing a win! win! situation for the patients and isn’t that what patient advocacy is all about? Empowerment of the patient and for the patient. I’m sure that many AdvoConnection members may view this relationship as a threat. I will withhold judgment for now, but it certainly does raise the question, “why did I invest in membership” only to learn that a “Walmart” is moving into my community. We all know what happens to small business when that happens. Bert – If, for one moment, I thought this new company would be akin to a Walmart, I never would have gotten involved. If you want to make a department store comparison, I’d say it’s more like a Macy’s – great quality, fair pricing, and doesn’t get in the way of the designer boutiques that offer a very different experience (even though they, like Macy’s, sell clothing.) There is more than enough room for everyone to be successful. You’ve only been a member of AdvoConnection for a few weeks, but if you ask other members (best to do so in the AdvoConnection Forum at LinkedIn) – you will find that I am trustworthy, provide only the best for AC’s members, and that my support for advocates’ work is unwavering. We will continue to support and grow advocates’ capabilities and possibilities because that is how we will help the most people who need the help.